Tendai and his wife, Gail, are amazing gifts to the Aletheia family. Having been a part of the church for many years, Tendai became and Elder in 2015. He loves the local church, worked for many years as a pastor in both South Africa and the U.K., and loves the local church. As far as his day job goes, Tendai is co-founder of the One Stone Capital Group and Old Mutual Global Index Trackers (Pty) Limited. He holds the CFA Charter from the US-based CFA Institute and a BCOMPT (Accounting Science degree from South African-based UNISA). He has 21 years of work experience in financial services in Southern Africa and the United Kingdom. 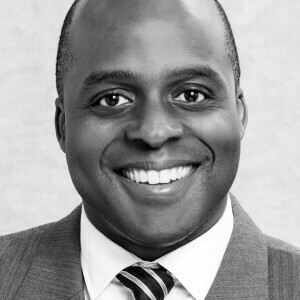 Prior to founding One Stone, Tendai worked for Old Mutual (UK), Robert Flemings (JP Morgan), BoE and Southern Life. Tendai is also chairman of One Stone Capital’s board, trustee for the Musikavanhu Investment Trust, founder and investment committee member for the Inhlakanipho Education and Development Trust, member of the Justice Alliance of South Africa. He is often invited to speak as an investment industry expert / market commentator at conferences in the US and on CNN, CNBC, CNBC Africa, Bloomberg TV , Fox Business and CNBC Africa. He and his wife, Gail, live in Wellesley, MA with their five children.